On recent trips I haven’t worn trailrunning shoes. That’s because I switched to the La Sportiva TX2, an ultralight approach shoe which I found great for backpacking, scrambling & Via Ferratas. Read my review to see if you should switch to them too & how they fare in the snow. 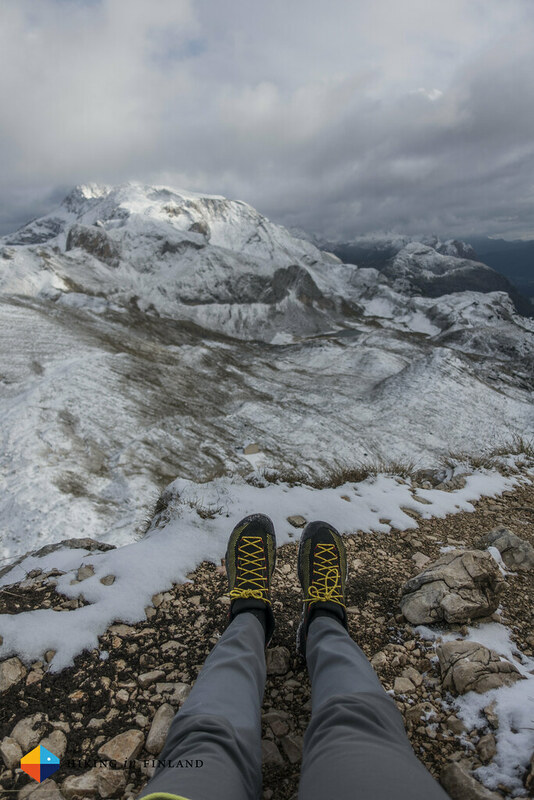 Disclaimer: La Sportiva provided me last year with the TX2 for free to take them to the Dolomites. Additionally, since the beginning of 2017 I’m sponsored by La Sportiva. This did not influence the article as I maintain full editorial control of the content published on this site. Read the Transparency Disclaimer for more information on affiliate links & blogger transparency. I received the TX2 last year in late September, just in time for my backing trip to the Dolomites. I have used them on several hiking and climbing trips since, and they’re also my city shoes of choice at the moment. All in all I have hiked, approached mountains, cycled and walked around town several hundred kilometres in them. 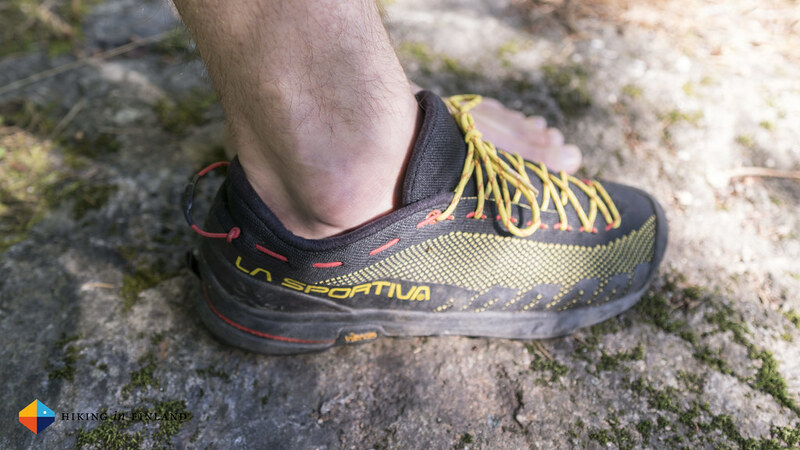 The TX2 is the lightest approach shoe La Sportiva makes. It’s main purpose is to take you into the mountains to the start of your climb, where they can be banded together and you can clip them to your harness while you climb your objective, so that at the summit you can slip back into them and walk back down (or rappel, which is more comfortable than rappelling in climbing shoes). I have found them also great for Via Ferratas and backpacking, as they’re very grippy and allow me to scramble securely. I haven’t seen something like the C2™ ComboCord around the heel of the shoe, which allows you to wrap them together and clip them to your harness. 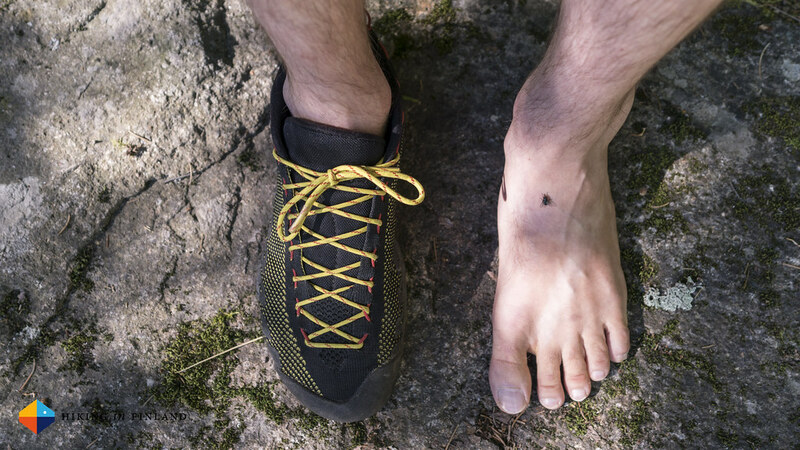 It’s what has drawn me to the TX2 initially and is a cool little feature for climbers, but backpackers probably won’t make much use of it - unless you carry a second pair of shoes (maybe some Luna Sandals?!) in which case you might find it useful to pack them small together. 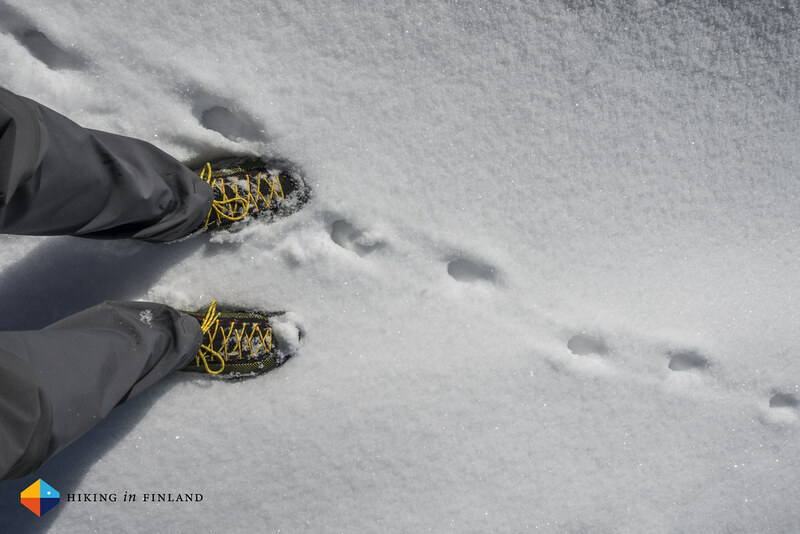 As I wrote above, I have used this show for almost a year in autumn, winter, spring and summer on the limestone of the Dolomites, Finnish granite, snow & asphalt and wooden trails and have never found anything wrong with them. They’re always comfortable for my feet with a good fit in the heel, and the toe box is wide enough to accommodate my toes. I’m wearing a Size 42 TX2 and in that size it weighs 283 g per shoe, or 566 g for the pair. 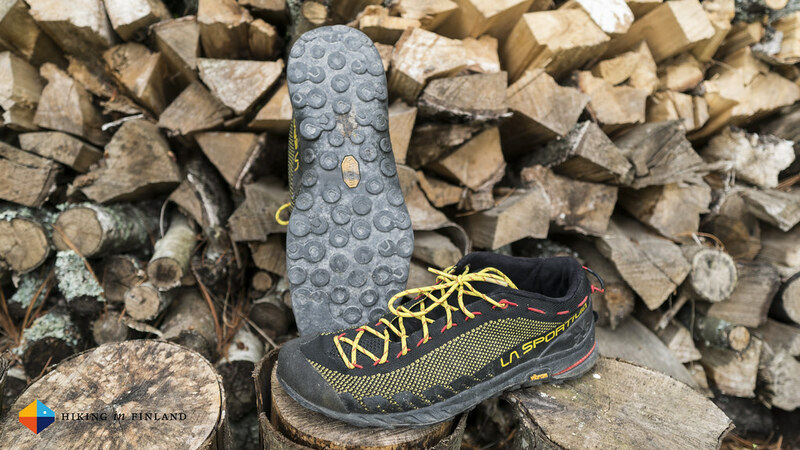 Since 2003 La Sportiva has been using the ISO 14.001 Environmental Management System (in conjunction with the ISO 9.001 Quality Standard, like any smart company!). In 2010 they made investments to make the production and working environment better, and in 2016 Lorenzo Delladio, the president and CEO of La Sportiva, was awarded the honour of “Knight of the National Order of Merit” for conducting the family business with an eco-sustainable approach that is aware of the company’s social responsibilities towards the environment. 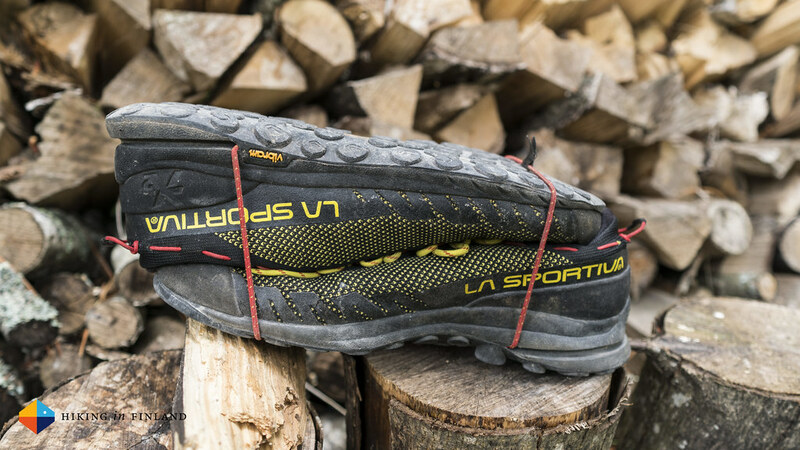 That’s about all the infos I found on their website, as well as that there’s some Vegan shoes and garments available from La Sportiva, but sadly there’s no further information on how you should recycle your shoes or apparel when they’re worn out. As always, this is the most important part of the whole article - get a cup of coffee and then read on. 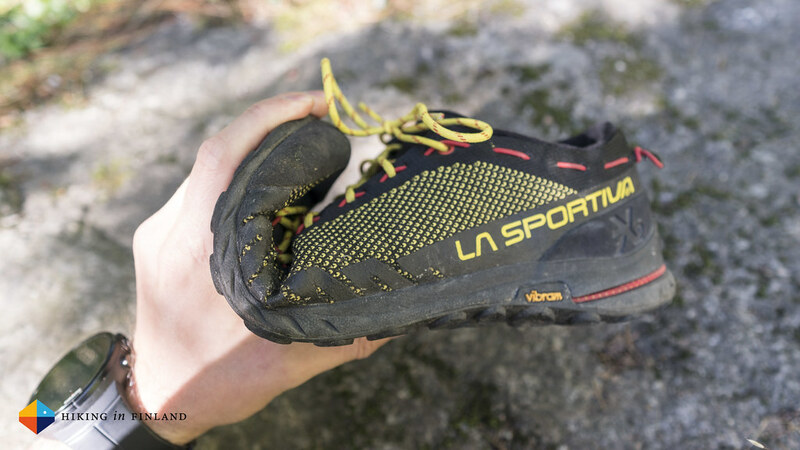 As I asked La Sportiva if they’d like to send me a pair of TX2 for taking them to the Dolomites it was a nice surprise that a week later they were with me and I could test them already a bit on my local trails before flying south to the Alps. The TX2 is light - really light for an approach shoe, which can easily weigh double as much as these. That lightness also means they’re very breathable - which is great in warm weather (but I still got warm feet in the jungles of Mexico) - but can get a bit fresh if you happen into snow on your hike. Nevertheless, with some good Merino socks that was also not a problem, and I was happy to descend a steep and snowy mountain in them. The upper dries pretty fast, after descending a snowy pass and continuing the hike it was about an hour later that shoes and socks were dry again. The shoe has a wee toe bumper which means impacts from the front or kicking steps into soft-ish ice and snow are nor problem, but it’s very short. The thinly padded tongue is stitched to the upper from the middle down which keeps it centred and is an elegant solution the tongue hanging out to one side or the other. 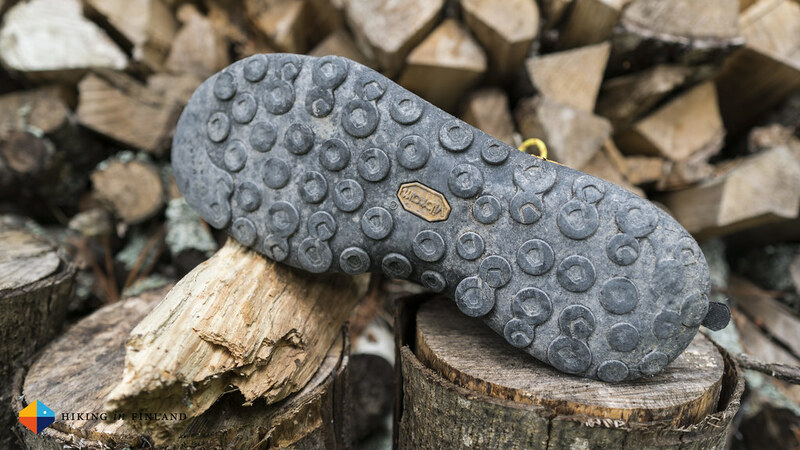 I like the Vibram Mega-Grip Traverse-Lite sole of the shoes, these do have an exceptional great grip on wet rocks of all kind. The lugs aren’t very deep (common design in approach shoes) so wet, grassy slopes and very muddy trails need to be navigated carefully, but with the right technique that’s not a problem either. 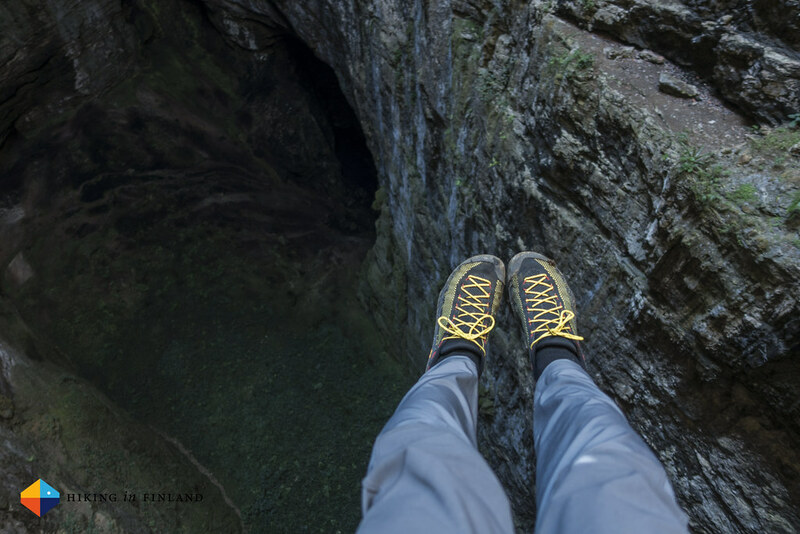 The climbing zone at the front allows you to scramble & climb easier grades (this postulates that you have the skills), and that’s also what makes these shoes pretty good for Via Ferratas. 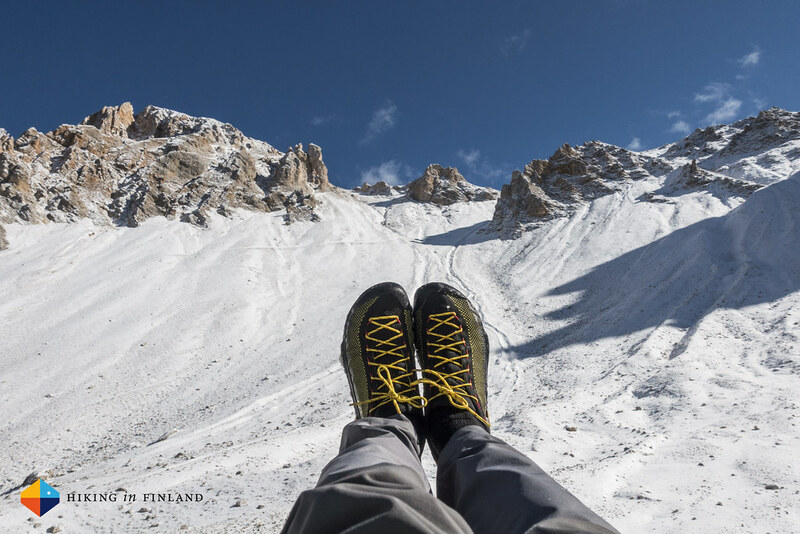 The sole is pretty soft which I like too - stiff shoes are not good for me unless the activity really demands it (ice climbing). These shoes edge well, which means small foot holds - think a one centimetre or less - are for me easy to place my feet on and stick it. I routinely go “bouldering” with these shoes when I’m out with the kids, and they are great for that. Which brings us to the fit. 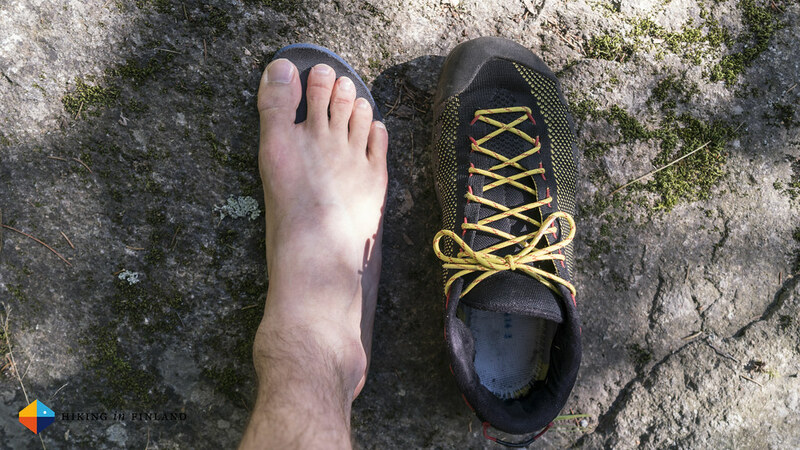 I can move and splay my toes in the shoe in my normal hiking lacing up, but if you’re serious about the scrambling and climbing you can lace the shoe up very tightly for a better feel. It’s a pretty low volume so very thick socks are not recommended. The construction, in conjunction with the lacing makes the shoe wrap around my foot like a comfortable glove. I can jam my foot into a crack when climbing and know the shoe and my foot will stay put. The heel again is very good for my foot, even if laced loosely it has a secure fit and the microfleece-like lining is soft & comfortable. The shoe has a 4 mm Ortholite Approach which I find a good match, I generally don’t like shoes with much drop and these are right there where I like it. I could say that they could be lighter, but I fear that make them less durable, so all in all there really isn’t anything that I can think of that could make them better. I have used quite a few pairs of approach shoes, and while some where good - like the Arc’teryx Acrux² FL GTX - others I didn’t like that much. 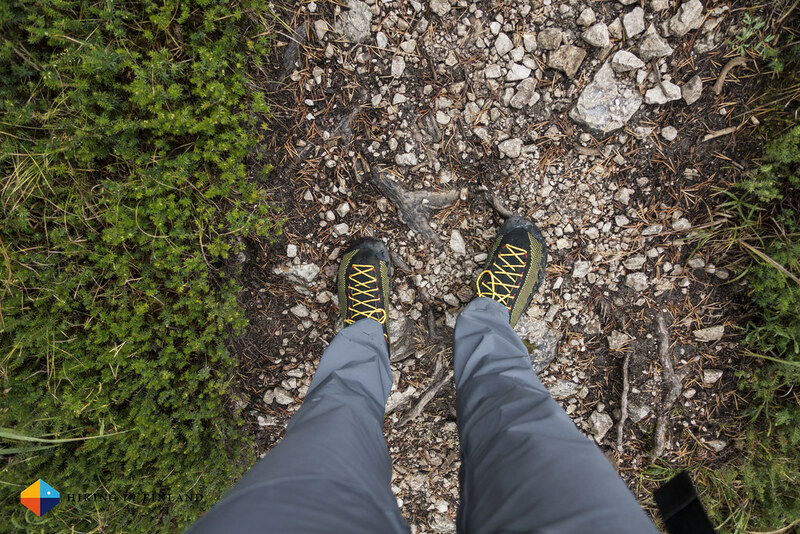 La Sportiva themselves also offer a variety of approach shoes, and the TX2 is just the start. Overall I really like the La Sportiva TX2 and that’s not just because La Sportiva sponsors me. 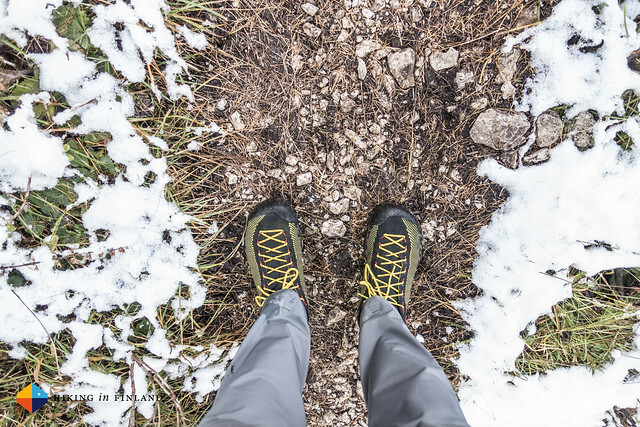 It’s a lightweight shoe which works for me in many different situations, from every day cycling and walking to backpacking and Via Ferratas in the mountains. I keep them laced up and just slip in and just lace them tighter when it gets more vertical. Despite the lightweight construction the shoe has held up very well thus far and almost daily use for 6 to 8 months hasn’t make them look worse - I believe I’ll be using these still next year in the autumn! Which brings me back to the question from the start: Should you switch from trailrunning shoes to these? If you use trailrunning shoes only for hiking & backpacking and not for actual trailrunning then I think you should give these definitely a try. 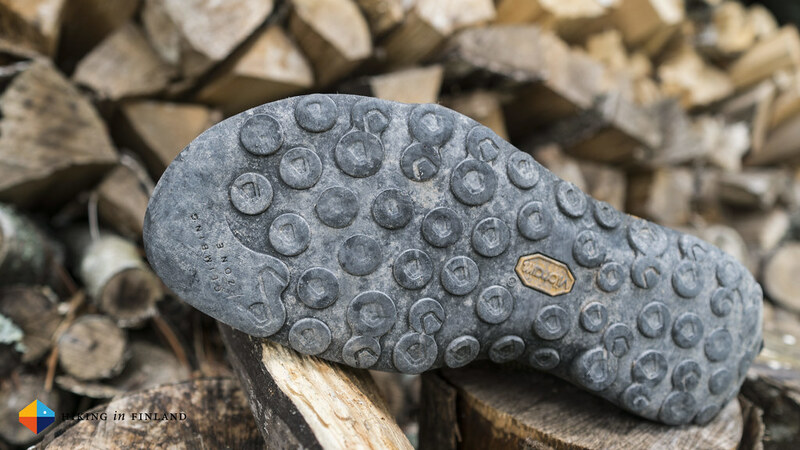 At 566 g a pair in Size 42 they are as light as many trailrunning shoes and share many of the properties which you like from them: Breathability, grip and flexibility. 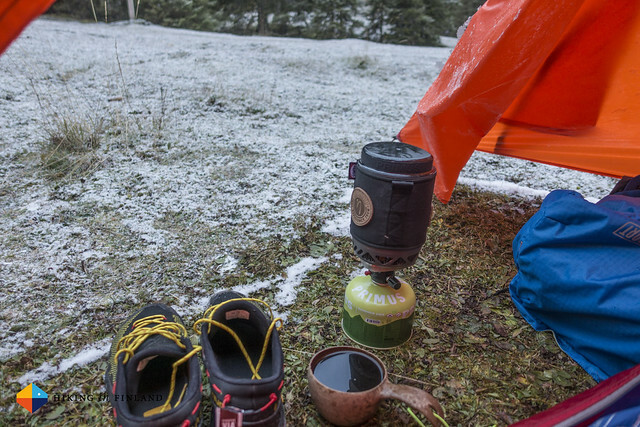 They add packability and the climbing sole means you can navigate scrambles on your hikes more securely, which for mountain treks is a useful benefit. I’m very happy with my switch and don’t think that I’ll move back for the foreseeable future. You can see more photos of the TX2 in this Flickr Album. You can buy the TX2 via any of these affiliate links and I’ll get a small commission (without extra costs to you!) which helps running the site.